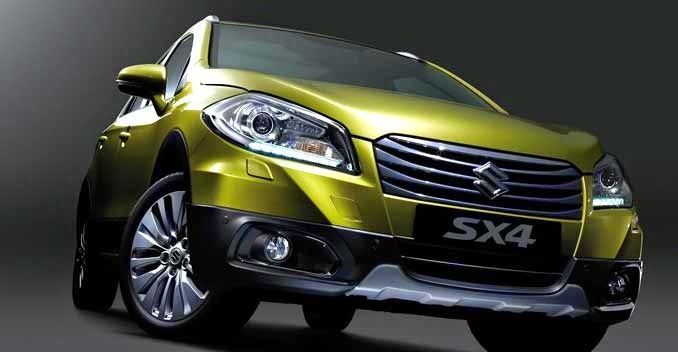 Maruti Suzuki SX4 S-Cross to be in India soon. The first Maruti Suzuki's first crossover is about to roll out in India. The brand after its successful sales year of 2014 is set to bring its 6 new products.The SX4 S-Cross will be a good competitor to Renault Duster and Nissan Terrano. The SX4 S-Cross will be the first crossover from the brand, and will be priced to rival the Renault Duster and the Nissan Terrano mainly. Already on sale in markets like Europe, the S-Cross measures 4.3 meters in length, 1.76 meters in width and 1.57 meters in height. The S-Cross on sale in Europe is powered by 1.6-liter four-cylinder petrol and diesel engines, the latter being sourced from Fiat. Suzuki also offers the car with a standard front wheel drive layout, and an optional all-wheel drive system. 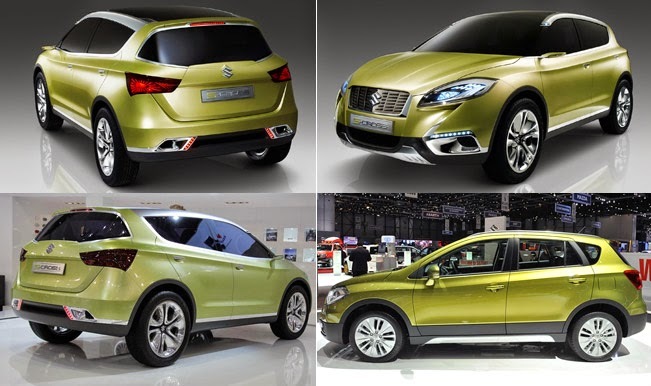 To a large extent, the overall shape and design of the the S-Cross SX4 is similar to that of the SX4 sedan. However, the crossover gets a redesigned front fascia that comprises of a refreshed headlamp cluster with daytime-running LEDs and a slightly revised front grille that proudly flaunts the Suzuki logo. The slightly changed roofline manages to give a fresh appeal to the side profile. Quite obviously, the rear end is entirely new and boasts of a neatly crafted fifth-door and chunky taillamps. Engine: 4 cylinders 1.6 liters diesel engine. This car is expected to attract most of its costumers and new buyers too. A compact family car may give buyers a good choice.We have to wait and watch how far it can compete well with the other rival in the market. The prica with specification and looks good and it has attracted lot of people during the Delhi Auto Show. But still 3 to 4 months time buyers have to wait from now as it is expected in may 2015.